Sanjay Gandhi National Park, Mumbai is on walkable distance from Borivali Station and located on the western highway. The park is on the North-end of Mumbai, and it is also known as the Borivali National Park. 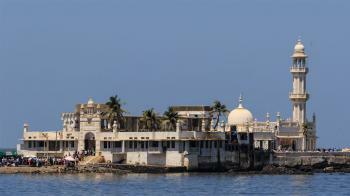 It covers an area of 104 sq km. It is one of Asia's most visited National Parks with 2 million annual visitors. The park offers numerous attractions, such as tiger safari, lion safari, train ride, hiking-trecks, tree-house, and best of all the caves. Over 270 species of birds have been recorded such as Jungle owlets, Golden orioles, magpies, robins, hornbills, herons, peacock, and woodpeckers. 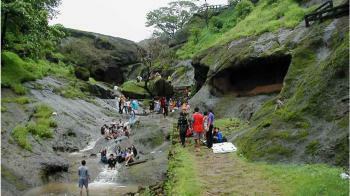 It is one of the best place for nature lovers and always best for photographers. Wankhede Stadium is the third cricket stadium in Mumbai, built after the Bombay Gymkhana and the Brabourne Stadium. The largest stadium in Mumbai, Wankhede Stadium has witnessed a number of high profile cricket matches. This is located at Churchgate in South Mumbai. Walking distance from Churchgate station. This massive stadium hosts test matches, ODI matches and other international matches as well. It is a big stadium with a capacity of 32K people. This is a historic venue for Indian Cricket history. This place has witness of many important matches like World Cup 2011 final match which India had won and also last match of legendary cricketer Bharat Ratna Sachin Tendulkar. The stadium hosted its first test series in 1974-75, where India lost against West Indies by 201 runs and Clive Lloyd scored an unbeaten 242 runs. 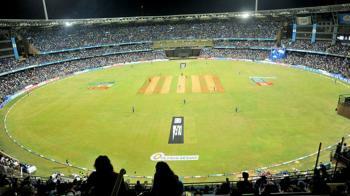 It is a venue for IPL (Indian Premier Legue) matches too and home ground for franchise Mumbai Indians. IPL is a professional Twenty20 cricket league in India contested annually by franchise teams representing Indian cities.